Unlike other parts of Rajasthan, the Mewar region is lush and green, which will for a moment make you feel you are in some another part of India. Perhaps it is a testament to the fact that Mewar’s kings have been known for their fortitude and fearlessness. And to see the grandeur of this, a must visit is Chittorgarh, home to the biggest of the 84 forts in the region. Incidentally, an aerial view of this fort indicates that this is in the shape of a fish with its head in the north and tail on the south and the entire forts is 8 km long. 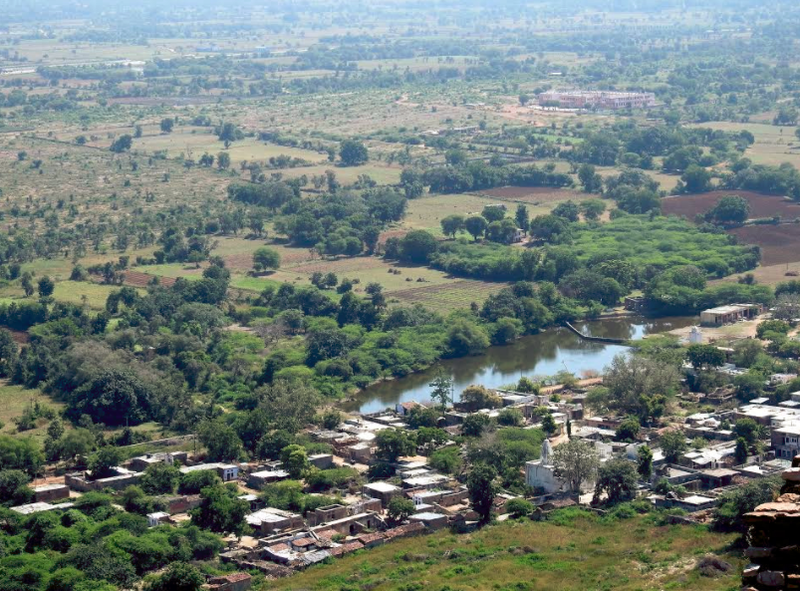 From east to west it covers a 2 km distance and it is spread over 700 acres. The fort has an overall boundary wall that covers a mind boggling 13 km and within the fort there are 84 water tanks (with 22 now remaining) that fill up in the monsoons, 130 Hindu temples and 8 big royal palaces that are now in ruins. Back in time about 20000 people would live inside this fort. There are two entrances here; a rear one with 7 gates built during the time of Maharana Kumbha and the front entrance has another 7 gates facing the sun on the front side built in the 8th century by Bappa Rawal. 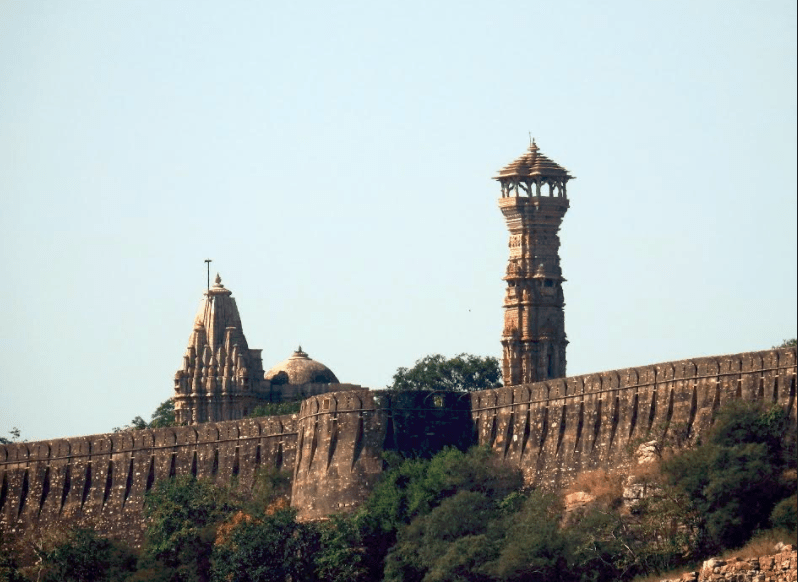 The fort dates back to the 5th century and was initially called Chitragud before being named Chittorharh. The fort was attacked many times and in the face of defeat – thrice in 1303, 1535 and 1568 and each time, people chose death before dishonour, performing jauhar (a practice where women and children killed themselves by jumping into a huge fire pit). Interestingly, legend has it that the construction of the Fort was started by Bhima one of the Pandava brothers from Mahabharata. The last king here was Rana Udai Singh II who escaped an attack and established the capital as Udaipur. Over the last year of course this place has had the dubious distinction of attracting a lot of wrong attention courtesy the row over the Hindi film Padmavati. 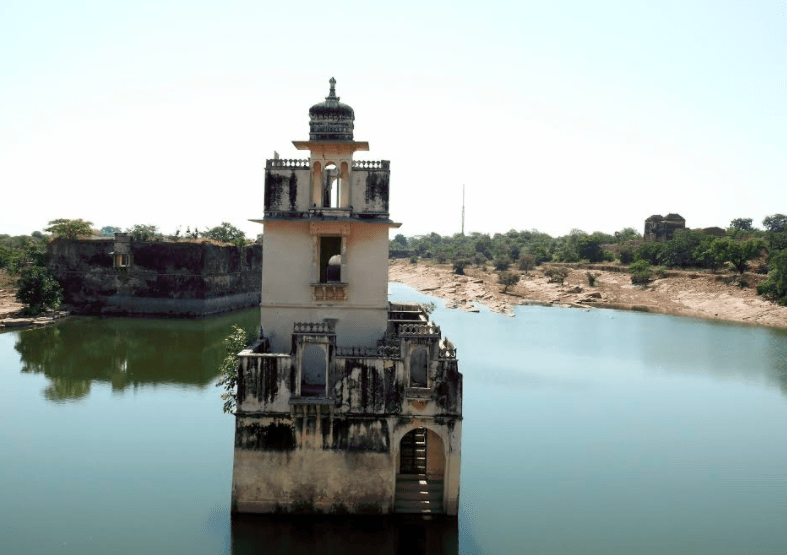 But to its credit, Chittorgarh has many monuments that are a perfect ode to the times gone by and here are some of them. With its beige and brown façade this palace still manages to gives you a peek into the pristine glory of domestic architecture during the Rajput era. 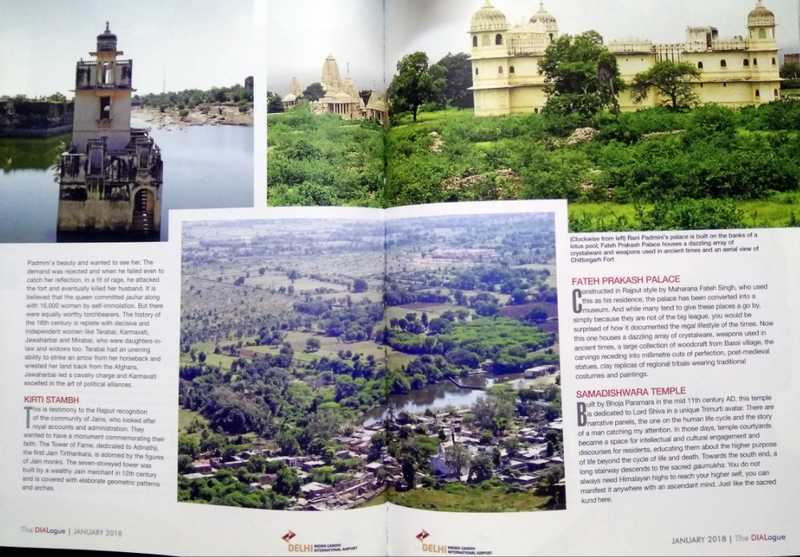 Maharana Kumbha made many additions to the original palace that can be approached through two gateways to the east called Badi Pol and Tripola. These gates lead to an open space towards the Southern side of the palace as well as to the darikhana. 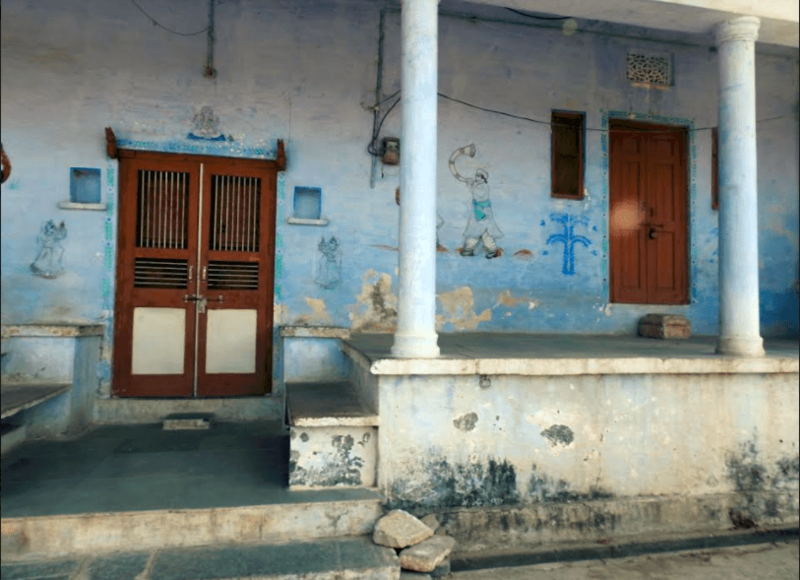 A small doorway on the back of the darikhana has the access to the main apartments, the Surya Gokhra, Zanana Mahal, Kanwar Pade ka Mahal and other open courts and residential structures. The stacked stones make for a nice pattern and the exterior walls have decorations that include sculptured bands and flower head bosses. 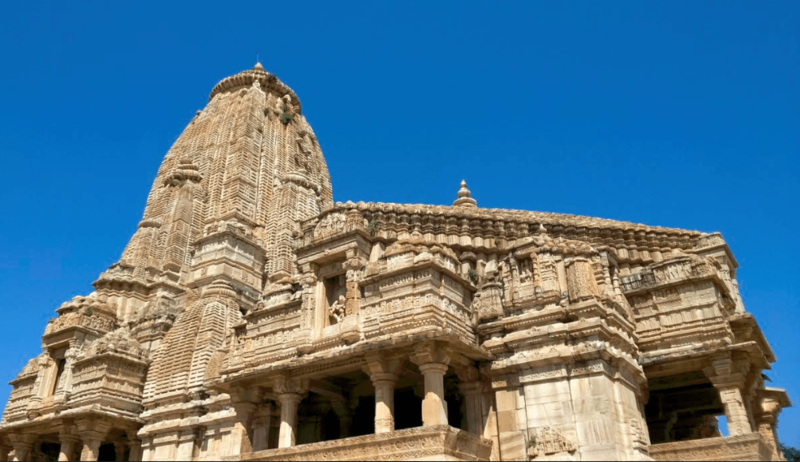 If you want to see what poetry in stone looks like, stop at the temple of Meerabai who was an ardent devotee of Lord Krishna who is said to have worshipped him at this temple. The structure of this temple is characterized by intricate carvings on all sides and the temple is set on a raised plinth and has a conical roof. The shrine here is surrounded by an open porch with four small pavilions in four corners and the walls are filled with carved figurines making it an architectural delight. 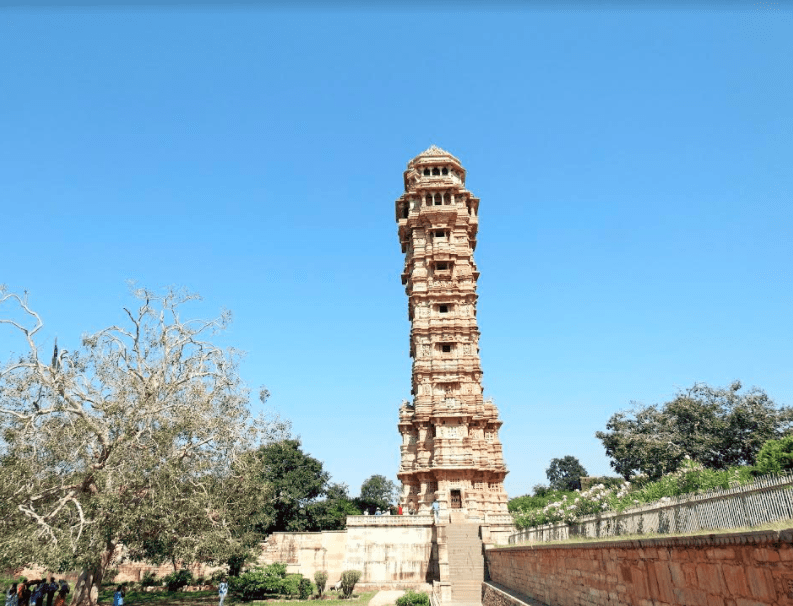 Vijay Stambh that literally really translates to the Tower of Victory is an elongated vertical stricture built by Maharana Kumbha between 1440 and 1448 AD. It is called as such as it symbolises his victory over the Muslim rulers of Malwa and Gujarat. The red sandstone and white marble structure is a nine-storey tower with sculptures of Hindu gods and goddesses etched in stone. You can take a narrow flight of about 160 steps to the terrace from where you can see a panoramic view of the entire city. The best part of this stricture is that it reflects the religious tolerance of the Rajputs and has reference to Hindu, Jain and even Muslim faiths. Arguably one of the most visited and beautiful monuments here is Rani Padmini’s palace that has been an important part of Rajput history. A small landscaped garden leads you to the Queens palace which is a simple structure built on the banks of a lotus pool and has a pavilion to protect the privacy of the royal women. Legend has it (as there is no truth to verify this) that Alauddin Khilji, the Sultan of Delhi was fascinated with the tales of Queen Padmini’s beauty and wanted to see her. Obviously this was rejected and after some discussion he was hoping to see her reflection that unfortunately was circumvented and in a fit of rage, he attacked the fort and eventually killed her husband and she committed Jauhar along with 16000 women by self-immolation. Since the Rajputs had Jains looking after their accounts and administration, they wanted to have a monument that commemorates their faith. The Tower of Fame is one such and is dedicated to Adinathji, the first Jain Tirthankara and is adorned by the figures of Jain monks. The seven-storied tower was built by a wealthy Jain merchant in 12th century AD and is covered with elaborate geometric patterns and arches as well. Constructed by Maharana Fateh Singh, who used this as his residence, this has been built in the Rajput style of architecture. 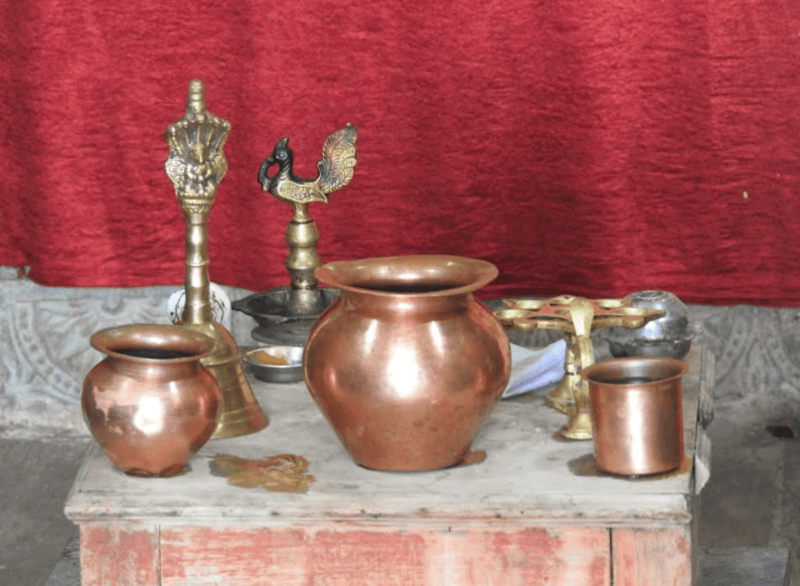 The palace whoich has now been converted into a museum houses crystal ware, weapons used in ancient times, a large collection of wood crafts from Bassi village, post medieval statues, clay replicas of regional tribal wearing traditional costumes and paintings. Built by Bhoja Paramara in the mid 11th century A.D. this temple is dedicated to Lord Shiva. This was renovated in 1485 and has a mandapa with three porticos on the north, south and west. The sanctum sanctorum has a large idol of Shiva and the exterior façade is again elaborately carved with figures of Gods and Goddesses. The temple also houses smaller shrines dating back to several centuries. Towards the south end of the temple there is a long stairway that descends to the sacred Gaumukha. 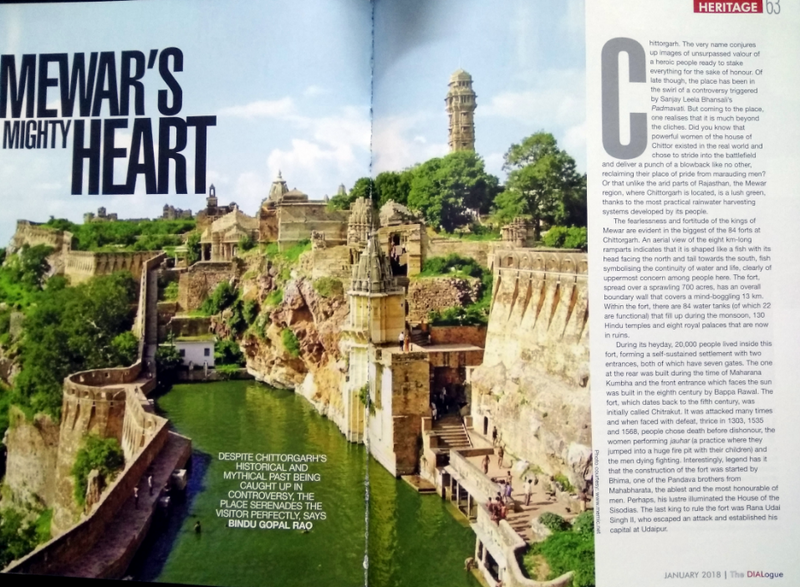 Chittorgarh Fort is a World Heritage Site and simply walking around the ramparts here will give you a wonderful lesson in history as well as transport you back in time to a regal repast like no other.